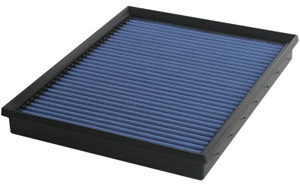 Upgrade your BMW X5's air filter to the aFe Drop in Air Filter today! The newest air filter released from aFe is this Replacement Air Filter for your BMW X5. AFe Replacement Air Filter for the E70 X5 are designed to improve airflow to your X5's engine to provide from improved performance and fuel economy. 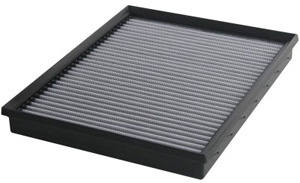 This filter outflows your stock paper air filter by an amazing 88%, with the added benefit of being washable and reusable for the lifetime of your BMW X5. This feature will ultimately save you hundreds over the lifetime of your vehicle as you will no longer need to purchase a new air filter every 10,000 - 15,000 miles. The filter uses an integrated polyurethane bump seal on the edges to ensure there are no air leaks to keep your diesel engine clean and running great. Installation for the replacement aFe X5 Air Filter is simple. Simply open your stock air box, remove your stock air filter and replace it with the new aFe Air Filter. Installation takes less than 5 minutes typically and can be done by literally anyone!